← Voila! Little Pin Cushions! I just finished a bag for my rulers, cutting mats and other stuff and I'm ready to go! 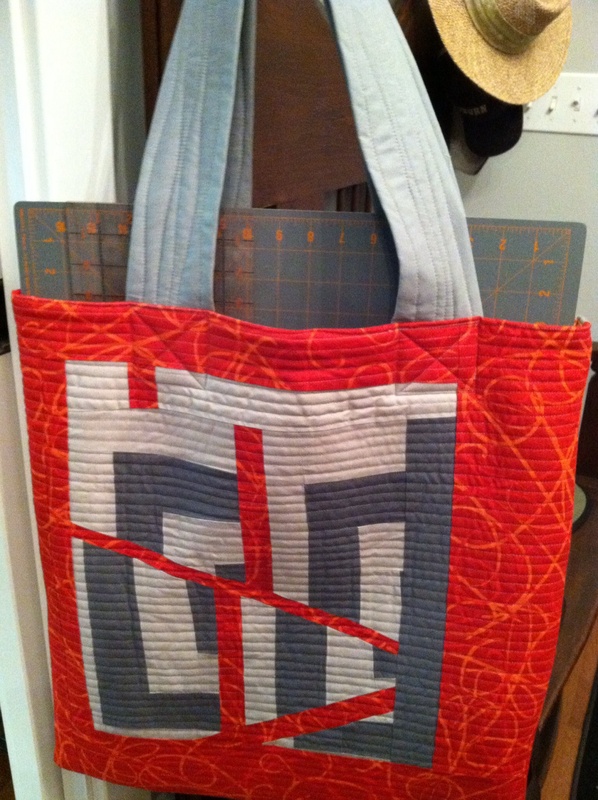 The block on the bag was made last year at camp after a lesson from Jacquie Gering at Tallgrass Prairie Studio! The bag is pretty big with wide handles so it is comfortable on my shoulder. 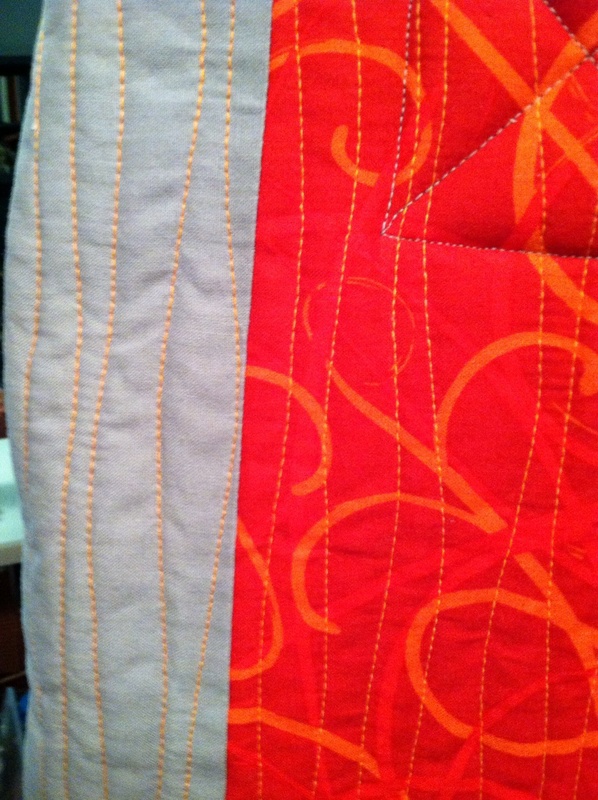 I quilted the front in close, straight line quilting and then put wavy orange lines on the back and handles. 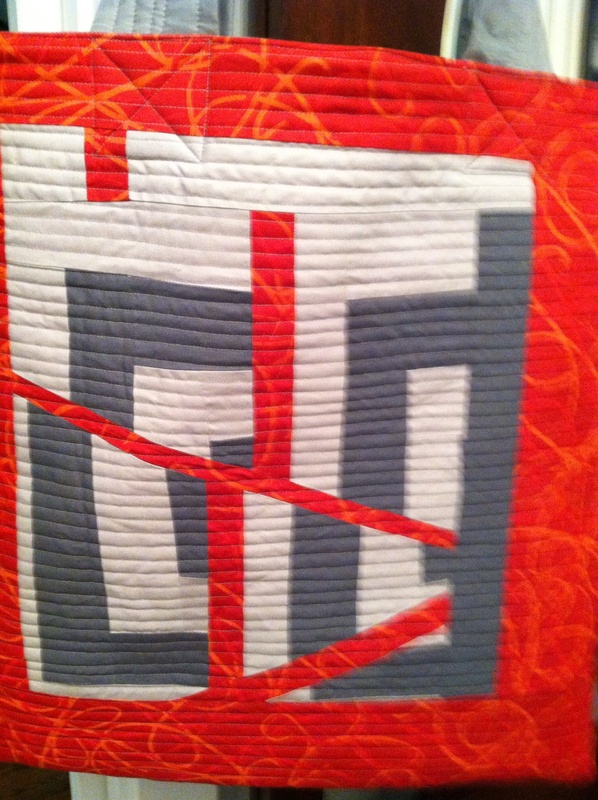 This entry was posted in Uncategorized and tagged Camp Stitch-A-Lot, Jacquie Gering, Modern Quilting. Bookmark the permalink. 2 Responses to Off to Camp Stitchalot! Love the new bag….looks comfortable. Are you driving by yourself or flying? Have a good trip.